Basic macroscopic and microscopic seminal study. 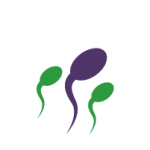 It is the sperm capacitation of a seminal sample in order to know if it is suitable for a fertility treatment of low complexity such as Intrauterine Insemination. It consists of observing if the sperm have a higher degree of rupture in their structure that leads to poor DNA integrity. It is a specialized study that allows to assess the number of chromosomal alterations of sperm.